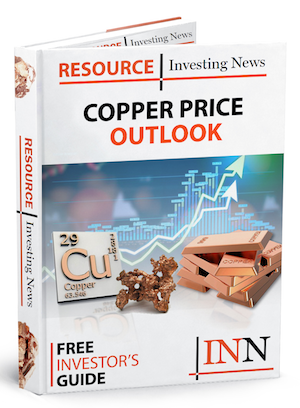 Constantine said it has selected JDS Energy and Mining and Klohn Crippen Berger to prepare sections of the preliminary economic assessment for the Palmer zinc-copper-gold-silver project. Constantine Metal Resources (TSXV:CEM) has announced that it has selected JDS Energy and Mining to prepare a preliminary economic assessment of the potential viability of the mineral resources at the Palmer copper-zinc-gold-silver project in Southeast Alaska. Constantine also said it has engaged Klohn Crippen Berger to complete the water and waste management design components. An updated mineral resource estimate scheduled for completion in the coming weeks will form the basis of the PEA. “We are pleased to have assembled an excellent team to complete our Palmer project PEA and we are looking forward to achieving this major milestone for the company. JDS and KCB are both highly skilled and reputable companies, and their work will be supported by company personal and other key technical consultants. Click here to read the full Constantine Metal Resources (TSXV:CEM) press release.